Many of us feel that the holidays should be a time of giving. Sometimes, we can lose sight of that among the wrapping paper and doorbuster deals featured in every storefront window. For those that need some help taking a step back and refocusing on what matters during the holidays, here are some companies that make great gifts while supporting an even greater cause. They are all fair trade businesses (or feature fair trade products), so they are sure to continue giving throughout the year, even after the holiday lights are stowed for next year. Take a look at some items to make for a very fair holiday season. 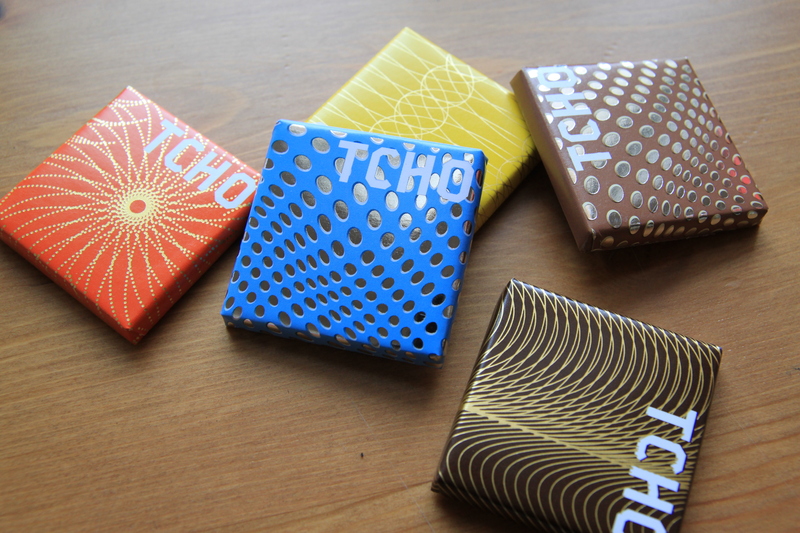 TCHO New American Chocolates is a fair trade chocolate company based out of San Francisco, California. Their business is fueled by TCHOSource – their practice of working directly with cacao farmers in Ghana, Madagascar, Dominican Republic, Ecuador, and Peru to create the best, sustainable chocolate out there. While they specialize in the natural flavors of dark chocolate, they also sell milk chocolates and their newest addition, TCHOPairings. For those that like a little pep in their step, two tea makers – Numi Teas and David’s Tea – have some great options no matter what flavors you’re looking for. Numi Tea is based out of Oakland, California and features 100% organic, no GMO, and (of course) fairly traded teas. They have a wide range of flavors, from your typical holiday chai and green teas to some savory options like Broccoli Cilantro and Carrott Curry. 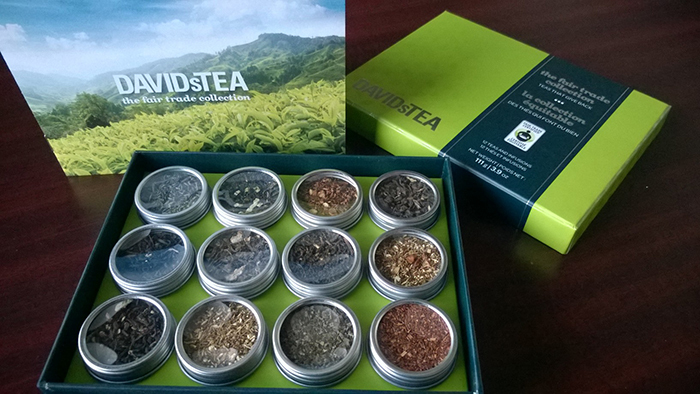 David’s Tea is a company originating in Vancouver, but has grown to open up their unique tea shops in many major cities across the US and Canada. 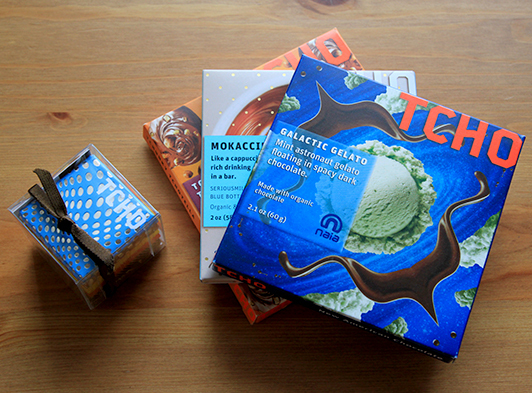 While not all of their teas are fair trade, they do distinguish which ones are and even sell a fair trade tea gift box including some of their most popular fair trade creations. There is a company based out of Southern California called Heritage Link Brands. What do they do? They’ve made it their mission to product sustainable, socially responsible wines from vintners throughout Africa and bring them to the rest of the world. So here you have the best of both worlds: the ability to support some of the most ethical and socially responsible vintners of Africa, and some amazing wine to boot. One company wanted to do more to help the world and created a product that helps in more ways that one. Hand in Hand Sustainable Soap provides soap and one month of clean water for every bar of their sustainable soap purchased. Their soaps come in a wide range of scents and are 100% eco-friendly, biodegradable, and fairly traded. It is definitely one gift to give and feel good about. Similar to Our Hands for Hope, 31Bits is a fair trade fashion business helping women help themselves. Their efforts are focused in Uganda, and the women there are making some truly fantastic pieces of jewelry from the simple and classic to bold statement pieces. Perfect for the person on your list who stands out from the rest! For those who don’t want to forgot style but just don’t want to feel girly, make sure you introduce them to Oaklandish. A local Oakland, California retail shop, this company doesn’t only put out trendy t-shirts and hoodies but also gives back to their local community, donating 10% of proceeds to artists and other nonprofits who are doing pioneering work within the community. Check out a list of where the proceeds go here. You didn’t think we’d forget us, did you? For some incredibly soft, trendy, effortless pieces to wear year-round, check out some of the latest styles in knitwear from Our Hands for Hope. We are always striving to be the fairest we can be. What does that mean exactly? In the world of Fair Trade, it means having a product, a business, and a lifestyle that contribute to the success, improvement, and equal treatment to the lives of others. For us, being fair means justly compensating the women in Peru who create our knits. It means creating and teaching a sustainable business model for each woman to improve upon and contribute to while positively affecting their community. It also means promoting and sharing other Fair Trade companies who are doing the same thing: creating sustainable businesses that are ethically sound, setting an example for the world in helping to improve disadvantaged areas. With that, we would like to present TCHO. 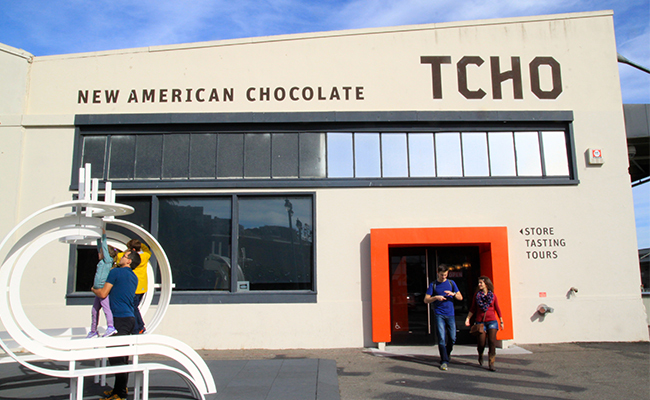 TCHO is a luxury chocolate maker in San Francisco, California that obsesses over the pure, natural flavors in chocolate.. 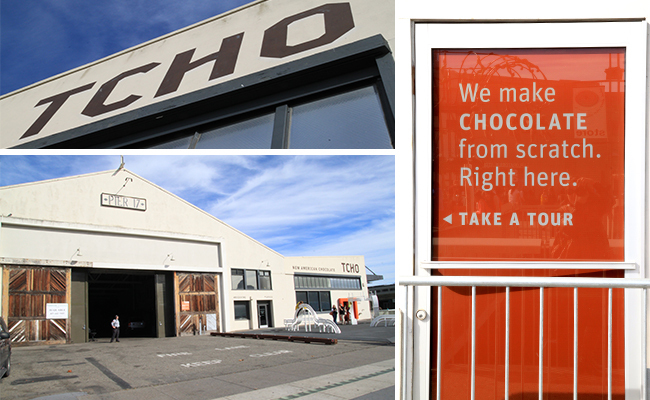 The factory and store are located at Pier 17 along the embarcadero, and while they call San Francisco their native home, their chocolate is from Ghana, Madagascar, Ecuador, Dominican Republic, and — of course — Peru. 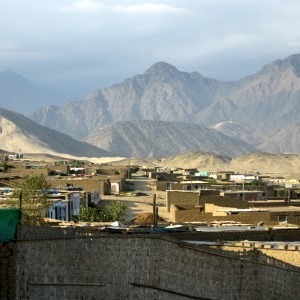 We had the opportunity to speak with them about the company, what Fair Trade means to TCHO, and a little more in depth about their TCHOSource program. It is very uncommon in the chocolate business for cacao farmers and workers to be treated fairly. TCHO says that most farmers have never even tasted their own products! Instead, they harvest the beans and ship them off to their buyers without any say in the process from bean to chocolate. TCHO saw this and wanted to do things differently. Intro TCHOSource: the way that TCHO does business with their suppliers to ensure the best possible product. This means working closely with the suppliers in each country to produce their flavor profiles as well as helping access other markets through improved product quality. TCHO didn’t just want to buy good beans; they wanted to help make the best ones. 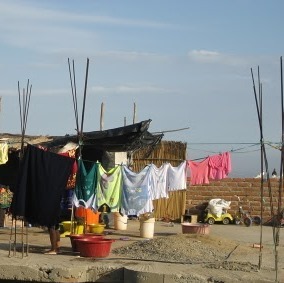 Just like Our Hands for Hope, TCHO’s powerhouse suppliers are in Peru. We agree with her there! Just like us with our knits, TCHO buys their beans directly from their country or origin, sourcing everything on their own and importing into the US. What is unique about them, however, is that they are establishing flavor labs where they source their beans. By doing this, TCHO works with the growers to do quality control throughout harvest. TCHO is currently working to encourage other chocolate producers to use their flavor labs so that they’re producing the best product for their buyers. Here’s to TCHO. A New American Chocolate company with not only a great product but who’s also serving a great purpose. Check them out at Pier 17 in San Francisco, and sign up for a free factory tour to really see what they’re all about. Gala, One of the Knitters at Our Hands For Hope. 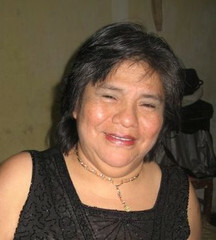 Gala, age 50 from Trujillo, Peru was affected with polio as a child. This has left her with a life long, leg disability. She is a single mother with a 17 year old daughter, Michella. Despite her disability, Gala has always had a smile on her face and a very positive attitude, which she has gracefully passed on to her daughter. 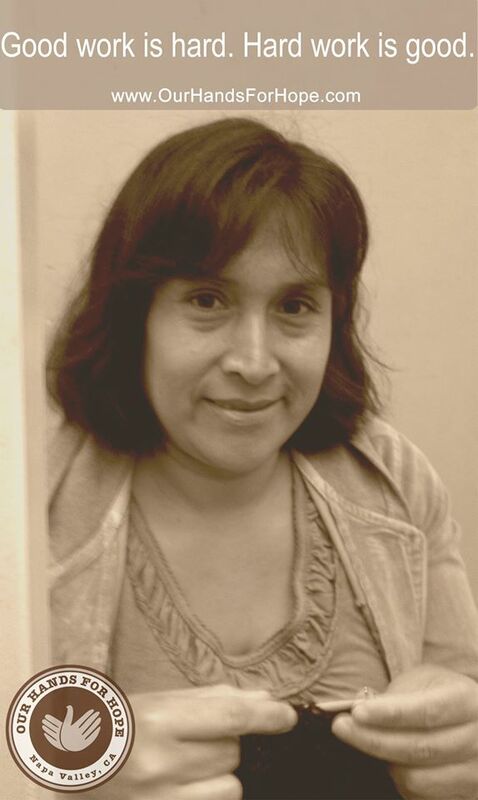 Meet Gala, she is one of the Our Hands For Hope knitters from Trujillo, Peru. Over the years, Gala’s health problems have increased, one of her kneecaps has made it more difficult for her to move around. The only way for her to relieve some of the pain is to have knee surgery, but with a very limited income she has had to put this procedure off. Today, with the help of Our Hands for Hope she is part of a network of women that have the sole objective of working together and helping each other. 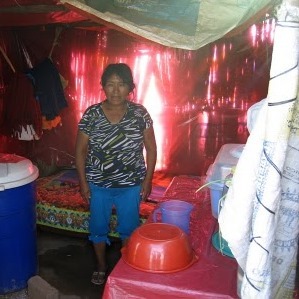 Violeta, our Peruvian coordinator, sent word about Gala’s need for surgery and asked if we would be willing to increase one of our orders by just five items… The women had come together offering to hand knit the extra pieces and donate their earnings to cover the cost of Gala’s surgery. Together, the women have created beautiful alpaca knits and have raised enough money to pay for her surgery! Gala has received the needed surgery and is recovering nicely. Gala’s story warms our heart, seeing how our knitting community came together to help her is priceless. But none of this would be possible without you. With your purchases, we are helping women help themselves. 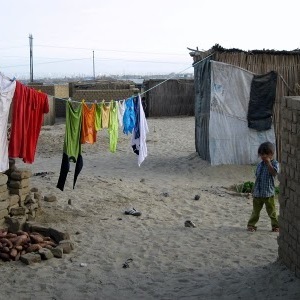 Every time I open a box and see the hand knits that the mothers in Peru are creating, I am humbled by knowing the conditions they are living in and reminded of why we are doing this. 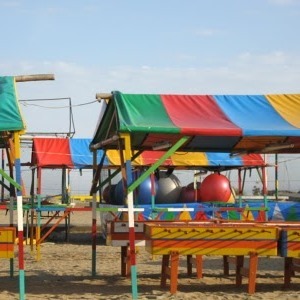 Over the last twenty years Peru has gone through some major cultural changes. 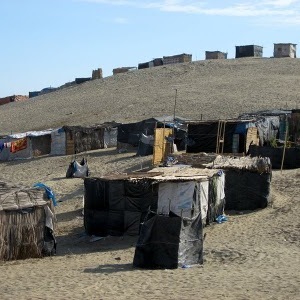 Ten years removed from communism the country is still struggling to pull its people out of severe poverty. Jobs are being created but not quick enough. While I was there, one of the best days of my trip was to go into one of the barrios with two of the organizations directors. 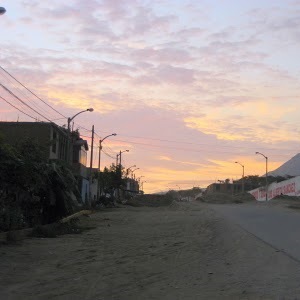 These photos are ones I took while in Trujillo, Peru. 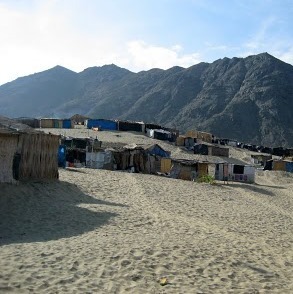 In Peru, a barrio is referred to as a district or community of people that are living on top of landfill areas in the outskirts of the cities. How the barrio system works is sad yet hopeful. The city is ever expanding from the center out. If you draw imaginary concentric circles around the city’s core you eventually come upon a 7th, 6th, 5th, generation barrio, all the way to the outskirts which would be considered the 1st. The family, usually abandoned or widowed women and children have come out of the Andes mountains in hopes of finding work in the city. 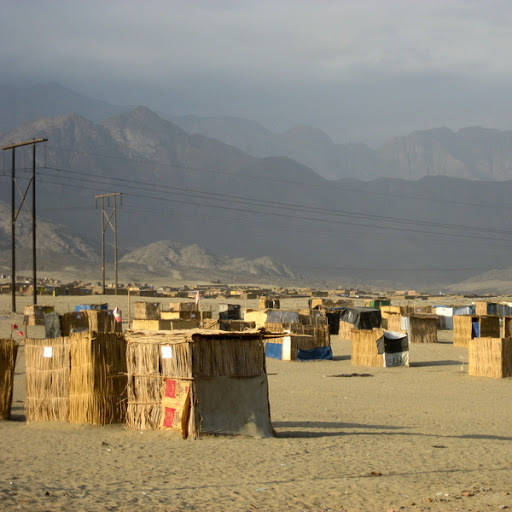 An informal a system had been set up where a small (approx 15’x15′) plot of land is assigned to them. The concept is like homesteading, you develop your home and you get to stay. 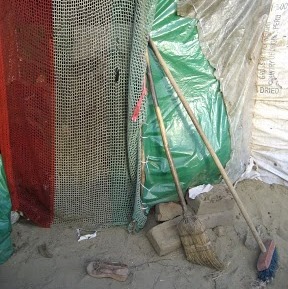 The houses, estera huts are created out of anything found; straw matting, cardboard, plastic, twin and reed. 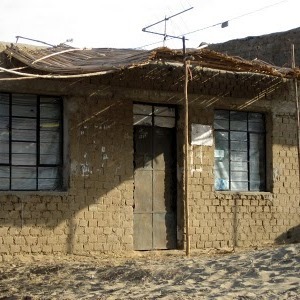 Eventually they begin adding adobe brick, maybe a found window, a plywood door and a small plant out front to beautify their home. Over time the homes begin to grow into each other. Businesses are created by entrepreneurial spirits and a community is formed. During the first year, the government drives by with a water truck once a week and families collect water in whatever they have gleaned. 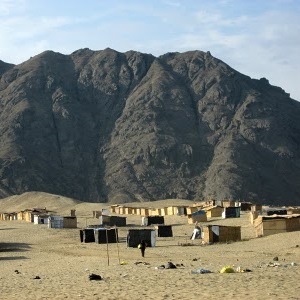 The second year, a community water station is built. 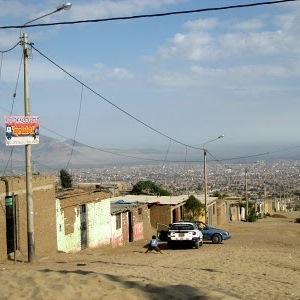 Third year, electricity is dropped in and a few main roads are paved. Fourth fifth, and sixth years more roads are paved, trees planted and a park is created. The barrio has now begun to blend the boundary’s and has become a part of the ever growing city. The people that I met were wonderful. They proudly shared their homes and posed for photos. Kids were as kids are, giggly, playful and happy. 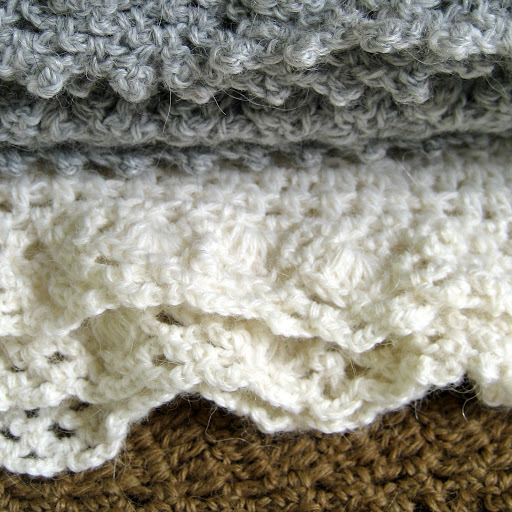 It is these mothers that are creating the hand knit alpaca throws, sweaters, wraps, etc. 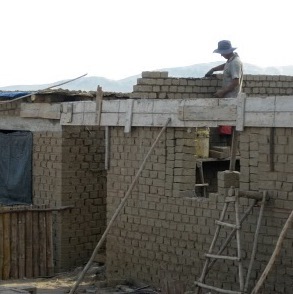 that we are featuring, This is creating a sustainable income for them and their families. Seeing all these photos again, just reinforces how much I want to go back! 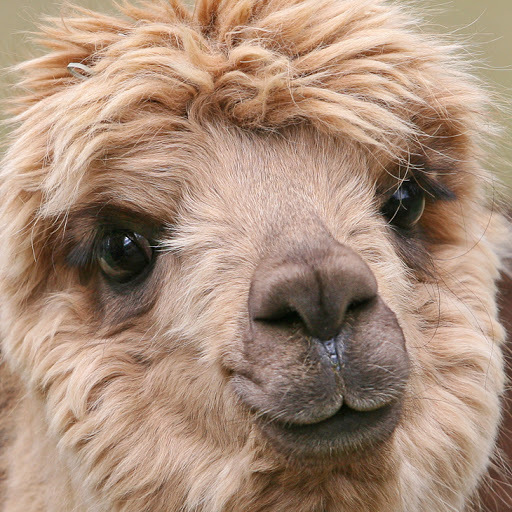 Alpaca, one of the world’s most luxurious natural fibers. It is as soft as cashmere and warmer, lighter and stronger than wool. The natural colors of this animals fleece comes in 22 basic colors, more than any other fiber producing animal. Because of it’s excellent affinity to dye, it can be transformed into an array of colors. The average life span of these cute creatures is 20 to 25 years. Once a year in the spring, they are sheared, producing 5 to 8 pounds of buttery soft fleece that is spun into beautiful yarns. 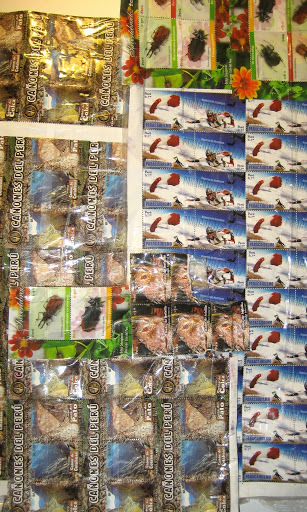 How many stamps does it take to get a package from Peru to California?